I've filed Moominmama's tax return for this tax year. 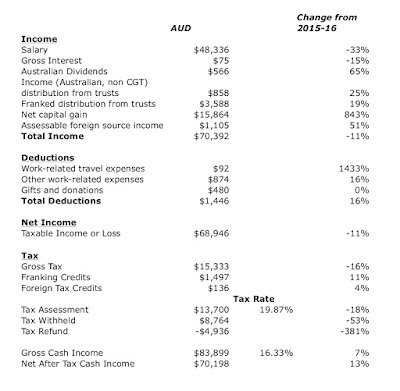 The tax year runs from 1st July to 30th June in Australia. 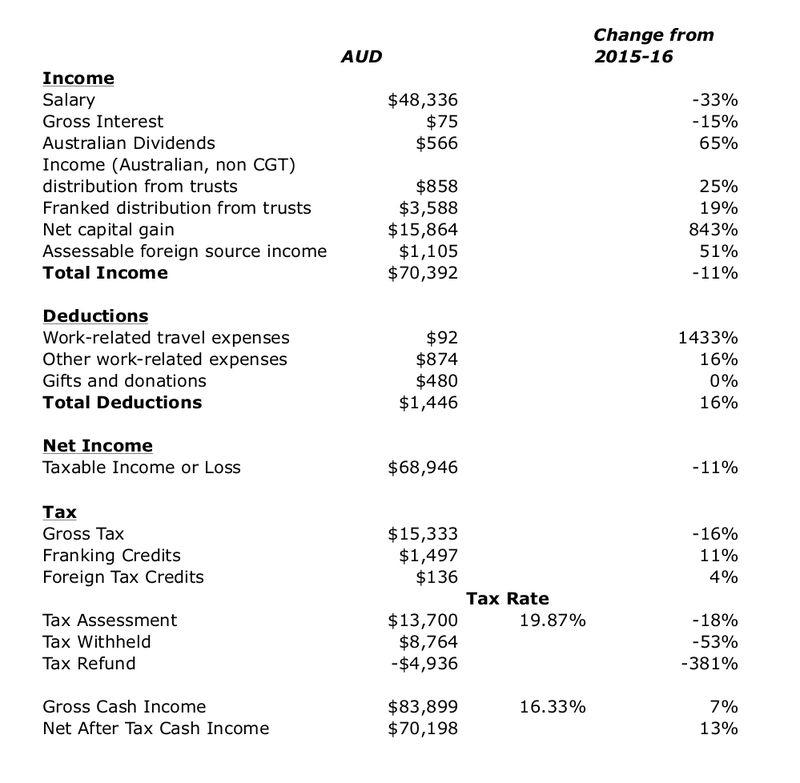 The figures ignore employer and employee contributions to superannuation (retirement account) which amount to a lot of extra income. Everything is in Australian Dollars of course. Her salary is down because she went on maternity leave and the average tax rate also falls as a result. Investment income is up though.